Majestic 210 acre mountain top property. Supremely unique organic turn-key farm. Produces world class products as featured in High Times and Kitchen Toke magazines. Very private and secluded property with double gated access. Excellent year-round water supply with 44,500 gallons of storage. Amazing southern exposure for all day sun. Perfect altitude. Millions of board feet of timber. Quarry on-site for road work. Small cabin and 24X32 shop. Panoramic and ocean views. Mature fruit trees and 100% organic biodynamic garden. Timer controlled fertilization/irrigation system. Year round creek with spectacular waterfalls and swimming holes for summer fun. Close to Lacks Creek Recreation area for excellent mountain biking. Located on the edge of Redwood Valley. Rural, Dirt Road, Rolling, Steep, Wooded. 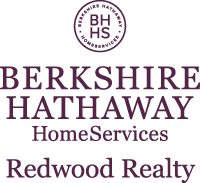 I am interested in Bair Road, Redwood Valley, CA 95525. Sign up for Inside AccessTM to view recent sales near Bair Road. This content last refreshed on 4/18/2019 9:21 PM. Some properties which appear for sale on this web site may subsequently have sold or may no longer be available.